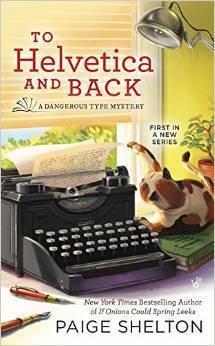 I do love a cozy mystery with a pun-tastic title. Plus it's book related and features a cat on the cover. Sold. Star City is know for its slopes and its powder. But nestled in the valley of this ski resort town is a side street full of shops that specialize in the simple charms of earlier eras. One of those shops is the Rescued Word, where Chester Henry and his adult granddaughter Clare lovingly repair old typewriters and restore old books. Who ever thought their quaint store would hold the key to some modern-day trouble? When a stranger to town demands they turn over an antique Underwood typewriter they're repairing for a customer, Clare fears she may need to be rescued. A call to the police scares the man off, but later Clare finds his dead body in the back alley. What about a dusty typewriter could possibly be worth killing for? I'm been hearing a ton of buzz about this YA novel and, as always, am interested to see if it lives up to the hype. The fact that Parnassus Books has named it as their January pick for Parnassus Next, a YA first editions club, definitely feeds the fire. Plus I'm usually a sucker for novels involving time travel so there's that. In one devastating night, violin prodigy Etta Spencer loses everything she knows and loves. Thrust into an unfamiliar world by a stranger with a dangerous agenda, Etta is certain of only one thing: she has traveled not just miles but years from home. And she's inherited a legacy she knows nothing about from a family whose existence she's never heard of. Until now. Nicholas Carter is content with his life at sea, free from the Ironwoods - a powerful family in the colonies - and the servitude he's known at their hands. 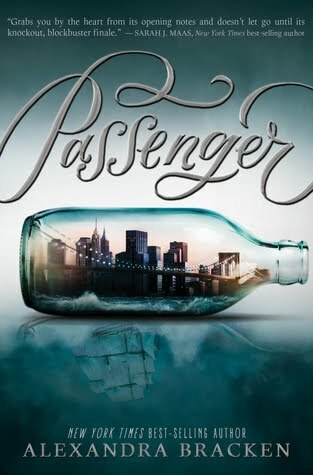 But with the arrival of an unusual passenger on his ship comes the insistent pull of the past that he can't escape and the family that won't let him go so easily. Now the Ironwoods are searching for a stolen object of untold value, one they believe only Etta, Nicholas' passenger, can find. In order to protect her, her must ensure she brings it back to them - whether she wants to or not. Together, Etta and Nicholas embark on a perilous journey across centuries and contents, piecing together clues left behind by the traveler who will do anything to keep the object out of the Ironwood's grasp. But as they get closer to the truth of their search, the early game the Ironwood's are playing, treacherous forces threaten to separate Etta not only from Nicholas but from her path home...forever. What January releases are you looking forward to?